Dmitry Orlov Is Getting a Bobblehead! Another NHL season has come and gone but Blood Drive season never ends! 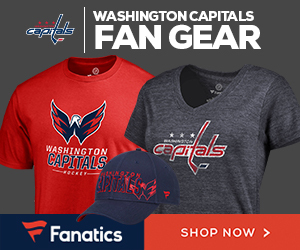 It’s going to be quite a long summer with the hockey hiatus but there are plenty of events to look forward to from Fan Fest to the coveted Inova Blood Drive. This year’s summer blood drive will take place on August 6th from its standard time of 7 am to 5 pm and. And, of course, there will be bobbleheads. We are happy to announce that the next Inova Blood Drive Bobble will be of Washington Capitals defensemen Dmitry Orlov! The Orlov bobble is sporting his little peach fuzz that he carried into the playoffs along with a good likeness in his facial features. There are a few ways you can guarantee your spot for this drive and they can be found below!